Now on to the freebie! I have a small add-on for you to go with the kit, there is 1 paper, a frame, a mask, ricrac, pin, a metal swirly thingy (lol) and some wordarts. Just bought the kit and was so excited to see that there was a free add-on! 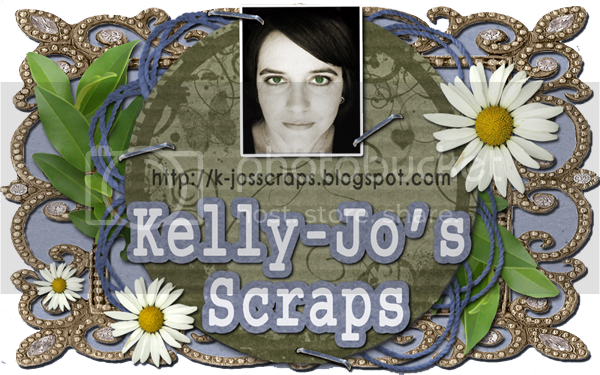 Thanks so much, Kelly Jo! Thanks this is great!!!! I love this kit! Thank you so much for this post. I want to let you know that I posted a link to your blog in CBH Digital Scrapbooking Freebies, under the Page 1 post on Jan. 23, 2012. Thanks again. OMG! You are so talented! I have this blog listed as one of my favs on mine,http://furlessfairiesdezines.blogspot.com/, Thank you for such quality freebies! Thank you, I love your drawing!